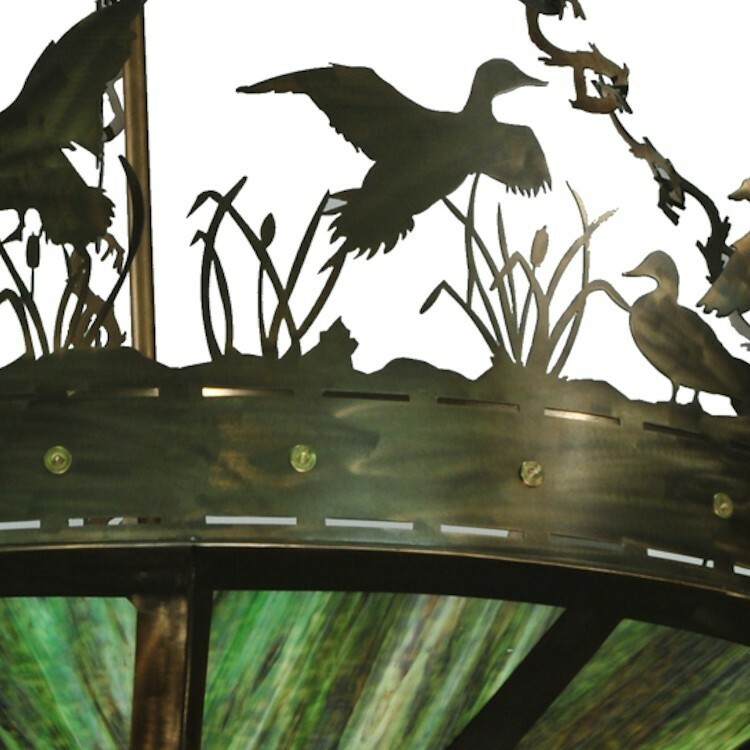 A flock of ducks take flight from cattails and marsh grasses atop this Ducks In Flight Inverted Pendant. 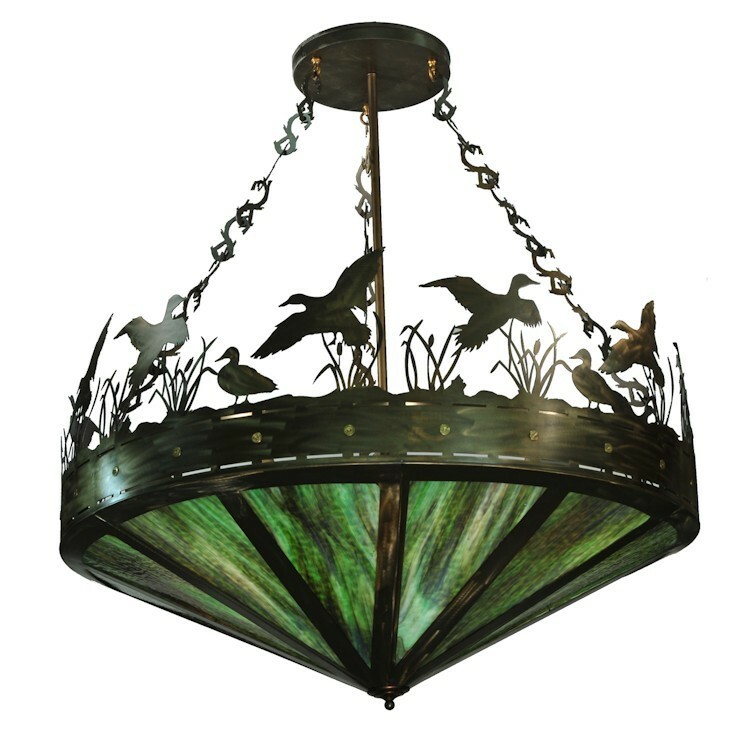 Suspended from hand crafted branch like chain links, the antique copper bullet accented band and ducks top marsh grass green glass panels. 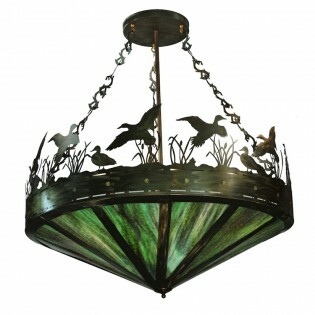 Size: 60" W x Hanging Height of 71.5 - 158.5"